Perfect stress reducer for restless hands! Great for fidgety hands, helps relive ADHD, Aniexty and Boredom! 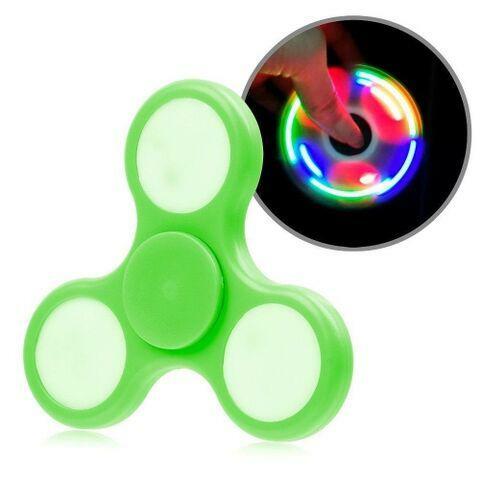 3 LED lights glowing with different colors while you play with the spinner. They are made of plastic, and have rubber rings. Color varies. Comes with non-replaceable LED Batteries.